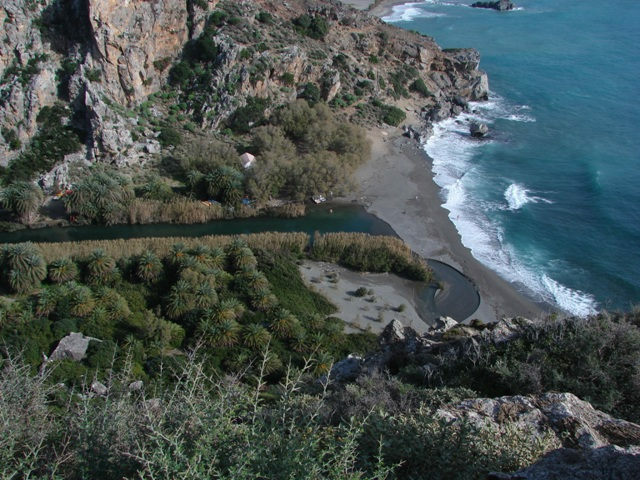 Preveli (Greek Πρέβελη) is a location on the south coast of the Greek island of Crete, in the Rethymno Prefecture, notable for its historic monastery. 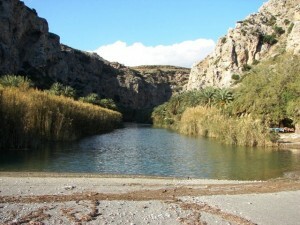 Preveli beach and lagoon (Greek Λίμνη του Πρέβελη), sometimes known locally as “Palm Beach”, is located below the monastery, at the mouth of the Kourtaliótiko gorge. Behind the beach is an extensive glade of palm trees. The beach is regularly served by tourist boats from the nearby resort of Plakias. On August 22, 2010, a large proportion of the palm grove was destroyed in a fire.